Dr David Grimes: What is the purpose of cholesterol? What is the purpose of cholesterol? We all know about cholesterol and we are all told that it is very bad for us. We are given the information that "the less of it the better", but we have seen in a previous post that this is not true in respect of women and in men above the age of 50. Above the age of 70, it is good for us, "the more the better". This means the blood level. It is assumed that this is derived from the diet and we have been told for more than half a century to avoid foods that contain cholesterol. 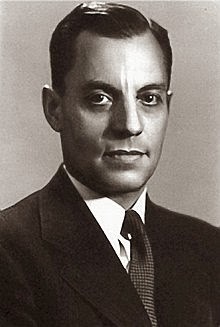 This message originated from Ancel Keys, the leader of the Seven Countries Study. We have seen this in a previous Post. It was not good quality research and it is said that the conclusion was decided before the study took place. Keys became a very successful evalangelist of fat and cholesterol avoidance, and he and his wife wrote books on the subject. His influence was remarkable but unfortunately wrong. To avoid fat and cholesterol in the diet is of no health benefit. The reality is that cholesterol is synthesised within the body, something that was not considered by Keys. This raises a problem: why should the body produce a substance that we are told is very dangerous? It would appear to be a great error of evolution, but this makes no sense. Cholesterol must have a benefit and perhaps the idea that cholesterol is bad for us is not correct. There is one person who has been almost a lone voice in trying to bring about an understanding of cholesterol. He is Uffe Ravnskov (b 1934). Uffe was born in Copenhagan in 1934 and practised medicine in Sweden. In recent years he has been an independent researcher and most certainly independently minded. He has given the function of cholesterol a great deal of thought and has added a great deal to our understanding. I have been very impressed by his work and his ability to think differently from the main-stream. It has been identified elsewhere that people with a high blood cholesterol have a health advantage. Firstly in the age group above 70 years on average the higher the cholesterol the greater the survival. It has also been identified that people with a high cholesterol have relative protection against AIDS, and also a reduced incidence of respiratory infections and post-operative infection complications. LDL-cholesterol is alleged to be the "bad" cholesterol. 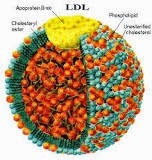 LDL stands for Low Density Lipoprotein. This is not too important in itself but it is a combination of a fat (lipid) in the form of cholesterol and protein that enables its transportation throughout the body. It has been noted in the laboratory that LDL will neutralise bacterial toxins in serum. These observations give more than a hint that the body is not in error in synthesising cholesterol because cholesterol is of considerable benefit. But what seems to be going wrong in coronary heart disease (CHD) and why is there a build-up of LDL-cholesterol in the walls of the coronary arteries? CHD, like atherosclerosis in general, is the result of an inflammatory process within the walls of the arteries. This in turn is result of invasion of the walls of the arteries by micro-organisms. The 20th century epidemic appearance of CHD suggests that the cause has been a single micro-organism, possibly but not definitely Chlamydia pneumoniae, but perhaps several micro-organisms are involved. Because of the obsession with diet and cholesterol, research into the role of micro-organisms in the development of CHD has been seriously neglected. There is however another micro-organism that gives rise to heart disease and arterial disease. It is a spirochaete, Treponema pallidum, the cause of syphilis, which a hundred years ago was a very major cause of disability and death. So do not take notice of people who tell you that CHD could not possibly be due to a micro-organism: it can be and it is. 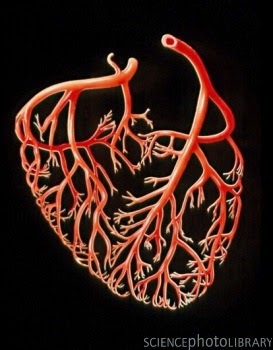 Micro-organisms cause other forms of heart disease, disease of the valves of the heart. Streptococcus pyogenes causes rheumatic fever and as a result chronic disease of the mitral valve in particular. Rheumatic heart disease used to be very common, but not now. Viruses can cause acute disease of the heart muscle, viral myocarditis. Another infection of the heart is endocarditis, infection settling on the heart valves. A variety of micro-organisms are involved, in the past mainly Streptococcus viridans , which passes from the mouth into the blood-stream. So there is no reason why a microbial cause of CHD should not be considered seriously. When a micro-organism invades the wall of the arteries, then as in other parts the body, a defensive inflammatory process takes place. The first line of defence in the tissues is LDL-cholesterol and it accumulates very rapidly in response to the infection. The second line takes the form of large white cells called macrophages, the "big eaters". They clean up the inflamed tissues and ingest the cholesterol. 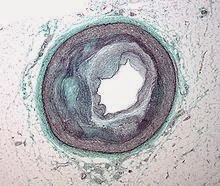 This development in the walls of the arteries is called "atherosclerosis". Antibody reactions also occur and are very powerful. As in other parts the body, such as skin and joints, an inflammatory process is associated with swelling and that is the case with CHD. This is usually an advantage in terminating the disease, but sometimes there is just a controlling action, not curative. This is typical of chronic inflammatory and auto-immune diseases. The inflammatory process can be such that the activity of macrophages cannot keep up with LDL cholesterol deposition, itself a defensive process. Swollen patches called plaques then develop in the wall of the artery, and they obstruct the flow of blood. In a similar way inflammation in the throat of a small child can cause swelling and obstruction and the illness of “croup”. Also inflammation in the intestine of people with Crohn’s disease will produce swelling, which can cause intestinal obstruction. In the coronary arteries it is "rupture" of the surface of the plaque with the formation of a blood clot that brings about a total obstruction to the artery. The result of this is a heart attack, myocardial infarction, often with sudden death. 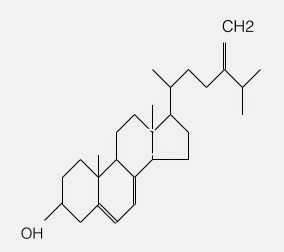 Statins can stabilise plaques, thus inhibiting disruption, acting through an anti-inflammaory process and not inhibition of cholesterol synthesis. So we can understand that CHD is likely to be due to a micro-organism, this explaining why it has been an epidemic otherwise not explained, and that it clusters in families. It has been much more common in locations with poor sun exposure and low vitamin D levels, and also in other circumstances in which immunity is low (after chemotherapy or organ transplantation). The cholesterol deposited in the arteries is a result of the infection, the inflammatory process unfortunately obstructing the flow of blood. As inherited immunity has developed within the population, so the epidemic of CHD has subsided and is almost at an end. It is however possible that similar epidemics will emerge in the future. If a microbial cause is accepted and the putative micro-organism identified, then protection through immunisation can be anticipated. Thank you for keeping reminding us of the nonsense about cholesterol that is publicly pedalled. You must think you are banging your head against a brick wall! I wonder if the more realistic noise about fat that is coming into the public domain might be a start of the crumbling of the cholesterol/fat/statin edifice! Healthy people taking statins reduce their heart attack risk by 33%. Healthy people taking statins have a 99% chance of receiving no benefit. Reductions in relative risk don’t matter much when overall risk is low. Let’s say your risk of having a heart attack over 5 years is 3 per cent. Let’s say a statin reduces that risk to 2 per cent. Relative risk has fallen by a third, right? But the real reduction in risk (known as the ‘absolute risk reduction’) is just 1 per cent (3 per cent minus 2 per cent).